Look for 2 autographs and 1 memorabilia card, 14 Prizms (at least 5 #'d), 30 concourse, 10 premier level, and 2 field level per box on average! Also find 3 XRC redemptions per case! Chase autographed memorabilia cards of the top 2018 Rookies in Prime Selections Signatures, Jumbo Rookie Signature Swatches and Rookie Signature Memorabilia #’d/199 or less! Find multiple color variations including the new White and Blue prizms! Find a plethora of veteran and retired content in Signature Memorabilia Prizm! 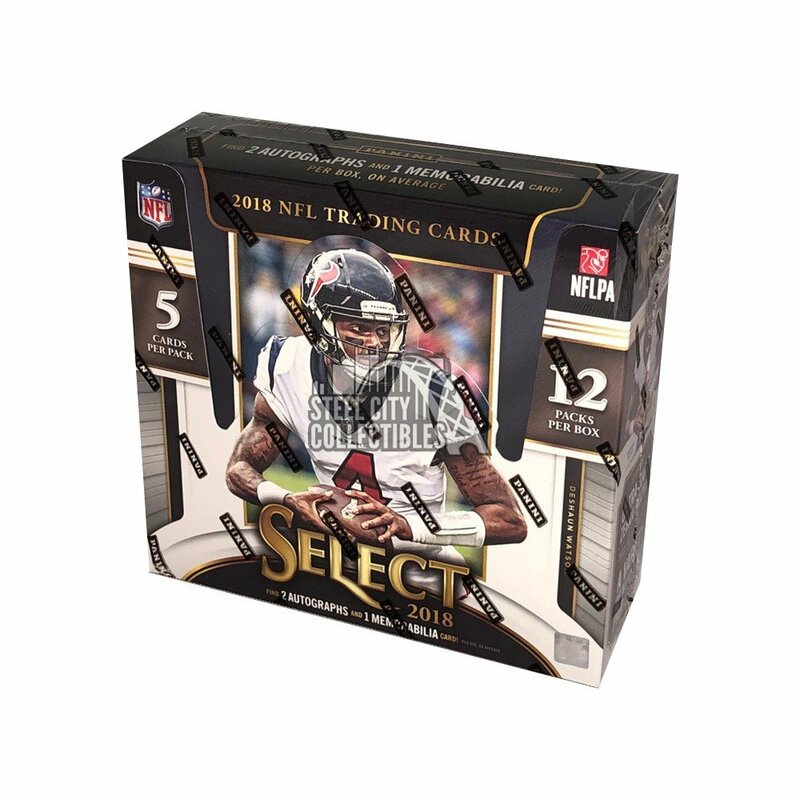 Find XRC’s for the 2019 NFL Rookie Class, three per case! Also, find XRC mystery Prizm autographs! New for 2018: Zebra Prizm (one per case), Base Concourse White Prizm (#’d/75), Base Field Level Red Prizm (#’d/49), Signatures/Rookie Signatures Maroon Prizm (#’d/75 or less), Signature/Rookie Signature Memorabilia Blue Prizm (#’d/75 or less) and Jumbo Rookie Signature Swatches White Prizm (#’d/75 or less)!